Who doesn’t love watching Harry Potter? Well, Rupert Grint apparently (after Prisoner of Azkaban, that is). 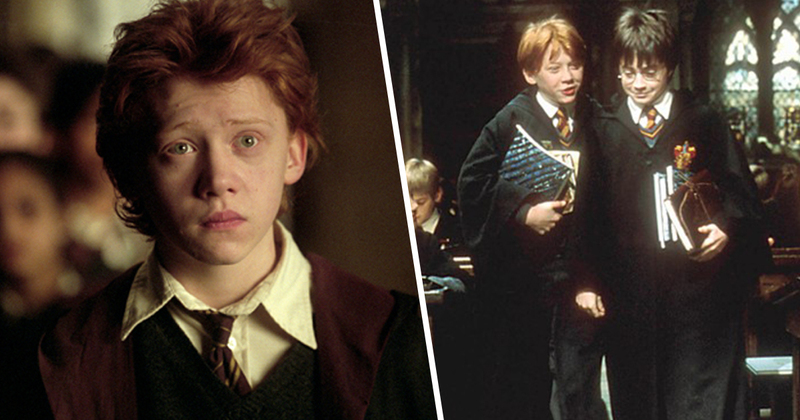 The 30-year-old actor who played Ron Weasley can’t bring himself to watch any of the films after the third one – and for a sad reason. I struggle to remember life before it. I think I lost myself a little bit along the way. With the fame, you’re almost being the character even when you’re not in character. From the moment I got the part, my life completely changed. It was a weird time and it has taken me a long while to process. Just being invisible can still be difficult. Sometimes you just want to go to B&Q. I think those early ones are OK. More time has passed. I can detach myself a bit more from that kid. I did see Harry Potter and the Philosopher’s Stone not long ago, for the first time since the premiere, and I actually enjoyed looking back. But the more recent ones I definitely couldn’t do. I could probably go up to [third film] Harry Potter and the Prisoner of Azkaban. Grint also explained the first thing he did when he finished the Harry Potter series. The actor got his tonsils removed, which is something the producers wouldn’t let him do during filming because there was too much recovery time and there was a fear the operation would alter his voice. Rupert is now making a foray into the world of crime and mystery with a staring role as an inspector in the new BBC adaptation of Agatha Christie’s The ABC Murders. Even if he doesn’t enjoy watching it, Goblet of Fire is definitely the best.